This short book is part of the Wisdom of the East series. 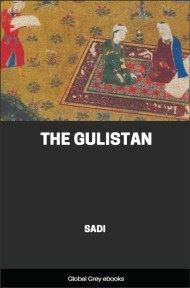 The Persian poet Sadi, best known for his poetic collections the Bustan and Gulistan, also wrote this work, the Pand Namah, or Scroll of Wisdom. This is a small collection of poems on moral themes. SHAIKH MUSLIH-UD-DIN SADI, the celebrated Persian poet, was born at Shiraz between the years 1175 and 1193 of the Christian era. 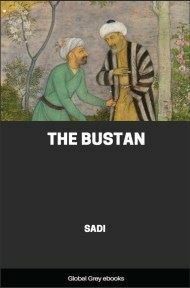 His father, whose name was Abdullah, is generally supposed to have held some minor post about the Court of the Atabak ruler of Fars, by name Sa’d bin Zangi (A.D. 1195–1226), from whom was derived the poetical nom de plume of Sadi. He commenced his studies in his native city, whence after a while he removed to the Muhammadan College of Baghdad, where it chanced that a rich native gentleman, being informed of the young student's want of means, befriended the lad, who was fortunate enough to obtain assistance, also, from a Professor in the College. In due course Sadi gained a fellowship. He thereupon abandoned himself to a contemplative life and the study of divinity, while his pious and devotional aspirations found vent in a pilgrimage to Mecca—an act of holy zeal which he repeated no less than fourteen times, chiefly on foot. Of a religious disposition, Sadi in due course obtained a reputation for holiness, which culminated in the title of "Shaikh" (a man of dignity and position), by which he became generally known. For many years his life was devoted largely to travel; this, indeed, may be gathered from his own words: "I have wandered to various regions of the world, and everywhere have I mixed freely with the inhabitants. I have gathered something in each corner, I have gleaned an ear from every harvest." On another occasion we learn from his own narrative that he was so enraged at the pagan rites practised at the renowned temple of Somnath in Gujarat that he incontinently threw the priest headlong into a well. An anecdote related by himself reveals the next important event in his career. "Weary of the society of my friends at Damascus, I fled to the barren wastes of Jerusalem and associated with brutes, until I was made captive by the Franks, and forced to dig clay, along with Jews, in the fortifications of Tripoli. One of the nobles of Aleppo, my ancient friend, happened to pass that way, and recollected me. He said, 'What a state is this to be in! how farest thou?' I answered, 'Seeing that I could place confidence in God alone, I retired to the mountains and wilds, to avoid the society of man. But judge what must be my situation, now that I am confined in a stall in company with wretches who deserve not the name of men. To be chained by the feet with friends is better than to be free to walk in a garden with strangers.' He took compassion on my forlorn condition, ransomed me from the Franks for ten dinars, and took me with him to Aleppo. My friend had a daughter, to whom he married me, and presented me with one hundred dinars as her dower. After some time my wife unveiled her disposition, which was ill-tempered, quarrelsome, obstinate, and abusive; so that the happiness of my life vanished. It has been well said, 'A bad woman in the house of a virtuous man is his hell—even in this world.' Take care how you connect yourself with a bad woman. Save us, O Lord, from this fiery trial!" Sadi was an adept at repartee—two instances will suffice. Once his wife reproached him with the following taunt: "Art not thou the creature whom my father ransomed from captivity amongst the Franks for ten dinars?" "Yes," was the rejoinder; "he redeemed me for ten dinars, and enslaved me to you for a hundred." 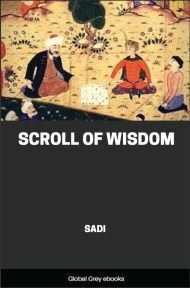 On another occasion, when a poet at Tabriz, taking offence at the intrusion of his rival Sadi, asked the latter, somewhat abruptly, "Whence come you?" "From the delightful soil of Shiraz," was the rejoinder. "Indeed," was the sarcastic retort of the questioner; "the Shirazis in Tabriz are more numerous than dogs." "The very reverse of our city," so spake the quick-witted poet of Shiraz, "where Tabrizis are of less account than dogs." 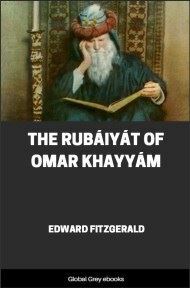 The contest of satire was not however at an end, and after a pause the man of Tabriz renewed the attack by drawing attention to the baldness of his rival's head. Turning up a vessel that chanced to be in his hand, "How comes it," said he, "that the heads of the Shirazis are bald like the bottom of this bowl?" "By the same rule," was the prompt and bitter rejoinder, "that the heads of the Tabrizis are as empty as the hollow of the bowl." Nothing daunted by the misfortunes attendant on his first marriage, Sadi during his travels in Arabia wedded a second spouse, with whom it may perhaps be surmised he lived on affectionate terms—judging, at least, from the anguish of soul with which he recorded the death of his youthful child, the offspring of this union. 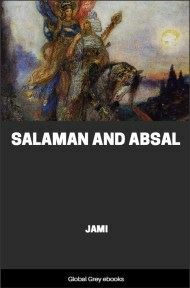 It is, however, open to doubt whether Sadi experienced a very large measure of domestic happiness, inasmuch as in one of his poems he gives the advice, "Choose a fresh wife every spring—on New Year's Day; for the almanack of last year is good for nothing." His liberality in entertaining guests was so great and lavish, that on one occasion a rival poet, whom he had regaled with most princely hospitality, despairing of returning in any adequate manner the profuse generosity of his former host, set before the man of letters, now a guest, the plainest and simplest of dishes. The explanation of this proceeding was couched in somewhat remarkable language. "I should have found great difficulty in giving you even one day's dinner in the sumptuous style that reigned at your hospitable board during the three days which I had the happiness of passing with you. But in this, my economical mode of entertainment, I could indulge myself for years in the pleasure of your society, without feeling the expense." 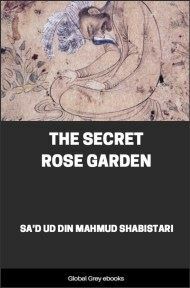 In the latter part of his life Sadi retired to a cell near Shiraz, where he passed his time in pious devotions, and in receiving visits from the noblest of the land.